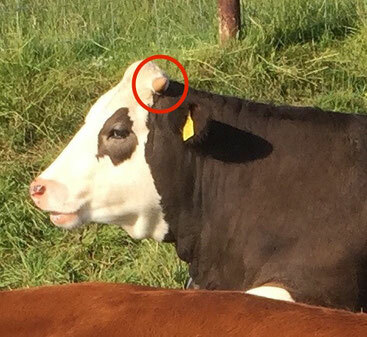 Horns on cattle can be very dangerous in many ways. 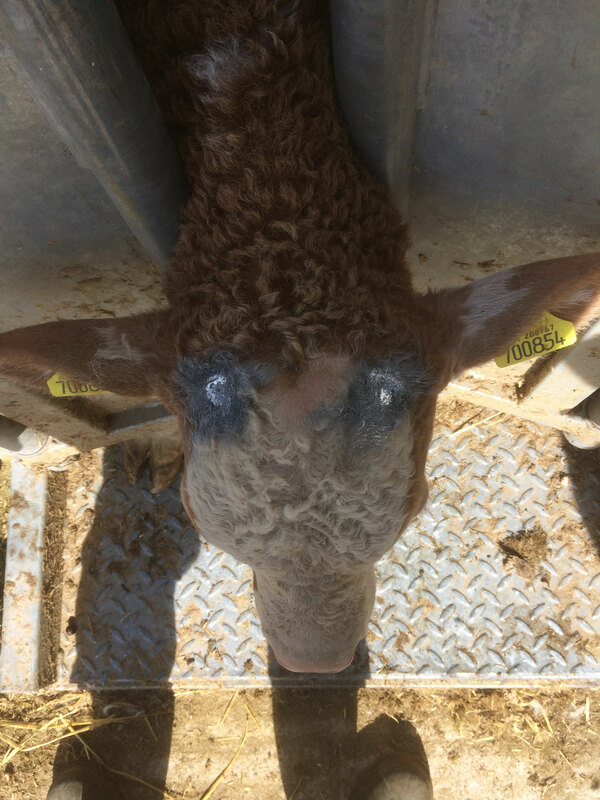 As well as being a danger to the livestock themselves they are also pose a danger to machinery, buildings, fences and anyone handling the cattle. 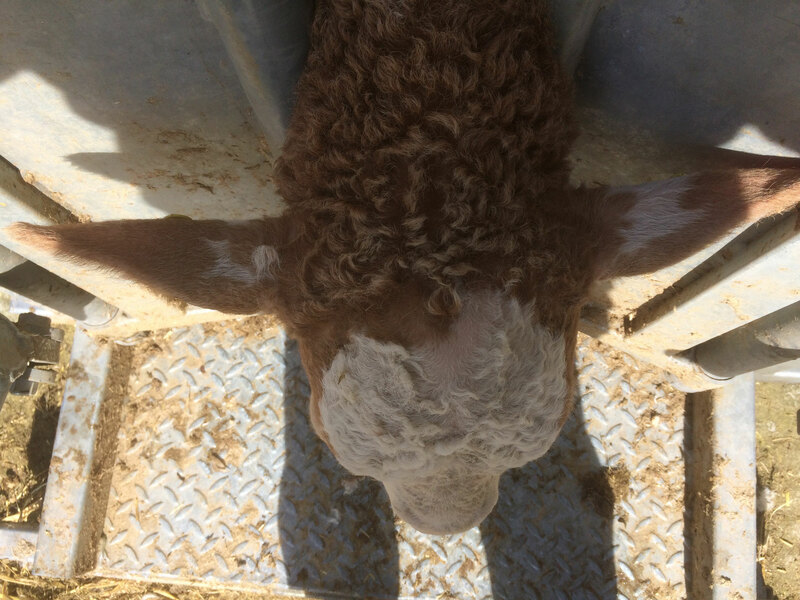 We offer a de-budding service in young calves; this is the best time to remove any unwanted horns as when the animal is young it is a fairly easy operation. using a hand held gas fired dehorning iron if you only have a few to do or if the group is larger then we have a dehorning iron attached to a large gas bottle. 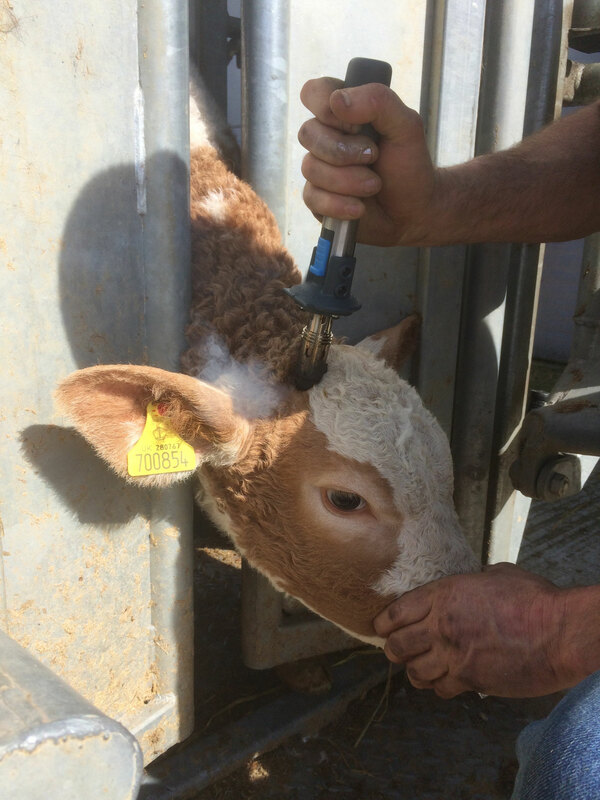 The procedure George uses is a little different to most people but great for the welfare of the calves. 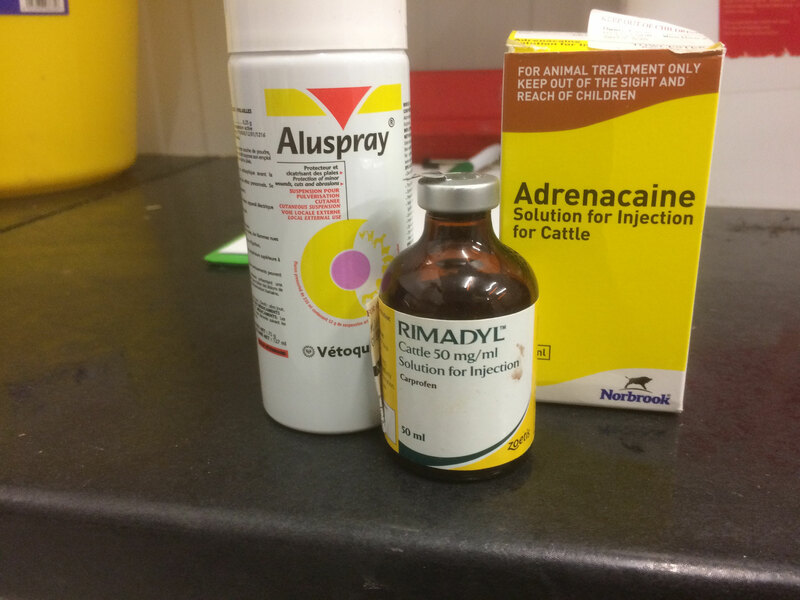 Inject site with 6ml (3ml each side) of Adrenacaine - local anaesthetic. Give the calve an injection of anti-inflamatory / pain relief. Allow plenty of time for the local anaesthetic to work. Trim area with scissors for a clear view of the buds / horns. Mark the buds / horns with the dehorning iron. 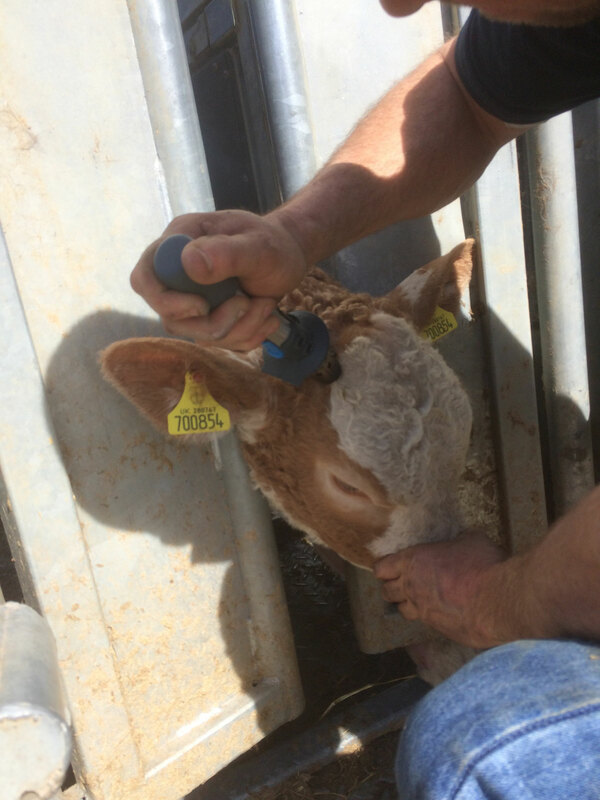 Remove the buds / horns by burning out using a rotating action with the dehorning iron. Make sure the area is clean and not bleeding. 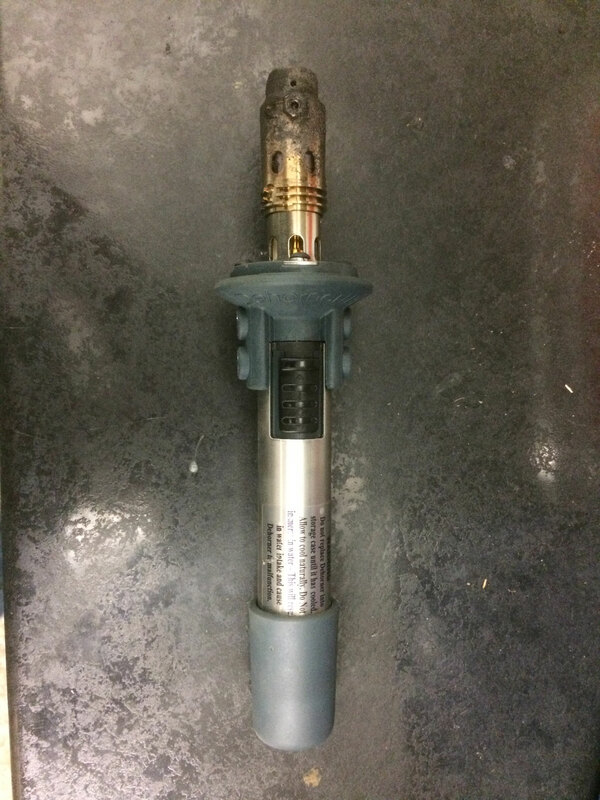 Spray area with an Aluminium spray. 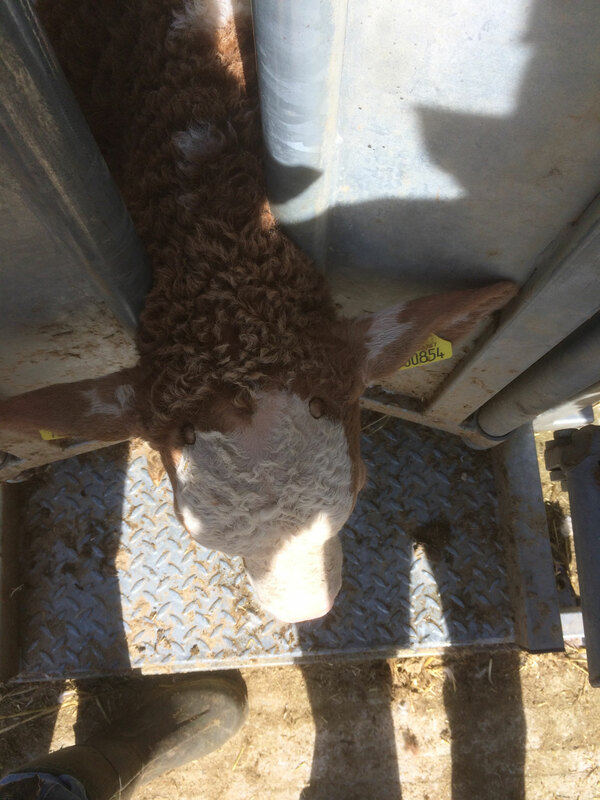 Check calves for the next 12 hours for any signs of bleeding / discomfort. 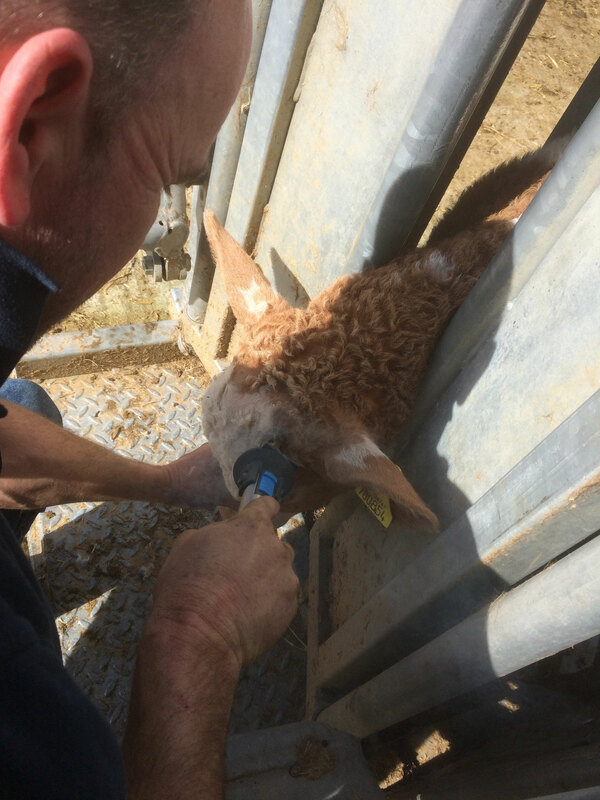 By giving the calves a pain relief injection George has noticed that they are back feeding almost instantly (if not given they can be off their food after the procedure), the small cost involved in this is far outweighed by the fact the calves are a lot happier and feeding correctly; we view this as a must when de-budding young calves. 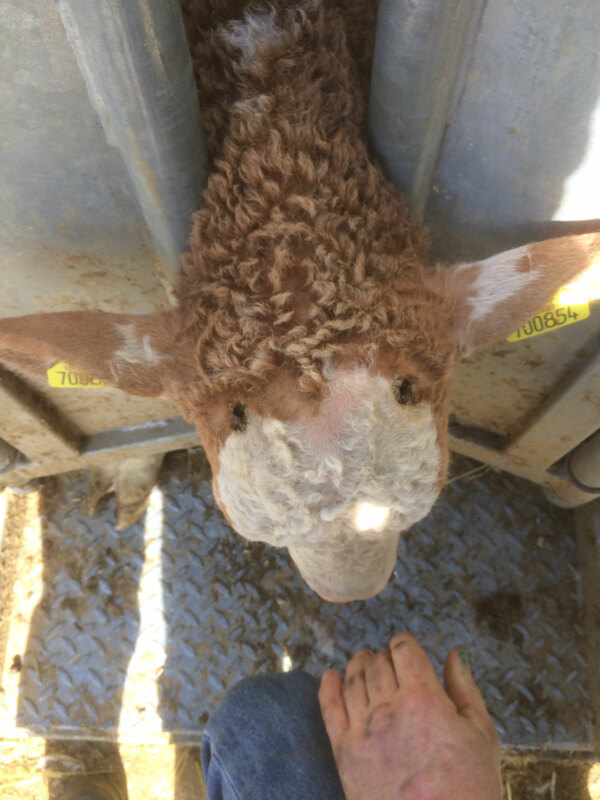 We have first hand experience of a bleed out and nearly lost our lovely Rock Star when he was young, only luck and determination saved him as he had lost an awful lot of blood.